There is an evocative saying in Japan Nihon no kokoro, asoko ni naru, which translates as Japan’s heart is in the countryside. It’s the untapped routes, remote villages and tireless locals – artisans, merchants, craftsmen, farmers, fishermen and foragers – who devotedly preserve the true essence of Japan and bring new life to their rural heritage. They generously share the unique side of their country through their craft and omotenashi spirit. Kyoto by the Sea in the northern part of Kyoto Prefecture is one of those untapped passageways to the heart of Japan. Referred as a Source of Japan, it is a collection of seven sleepy towns which weave along the panoramic coast of the Tango Peninsula like a vintage string of pearls. It is where the story of Ancient Japanese history unfolded and blossomed as different Asian cultures docked at its shores in search of a new land. Each city boasts with unique sights, bites, culture, and traditions meticulously preserved by locals who still employ the age-old techniques of their ancestors. As I got out of the car, fresh mountain air filled my lungs and I could hear the soft gush of the Kurotani River just down the narrow street. In an otherwise deserted village, I got a glimpse of an elderly woman pushing a cart filled with unassuming mulberry branches. 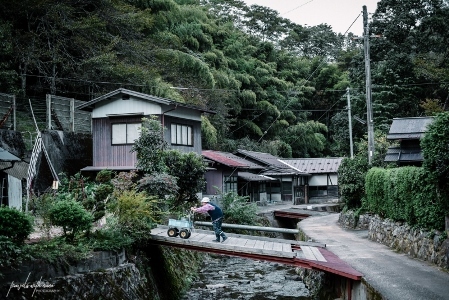 To the naked eye, this is just another sleepy Japanese village. 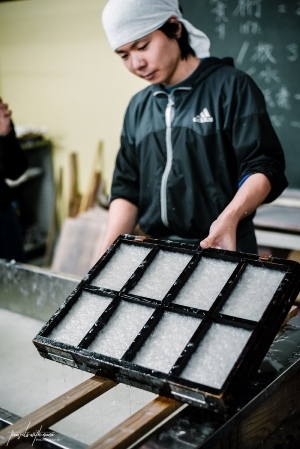 In truth, Kurotani hides the secret to the longstanding craft of washi papermaking kept alive by a handful of local families and made by hands of its tenacious women. Washi paper is a traditional Japanese paper, wa (和) meaning Japanese and shi (紙) meaning paper. It is one of Japan’s most fundamental artistic products which has formed the backbone of many other Japanese art forms during its 1,300 years of production. The roots of washi paper production can be traced back to China. 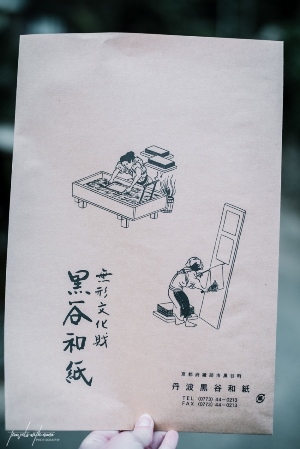 In around 610 CE the technique of handmaking paper was brought to Japan by Buddhist monks who used it to write sacred sutras. 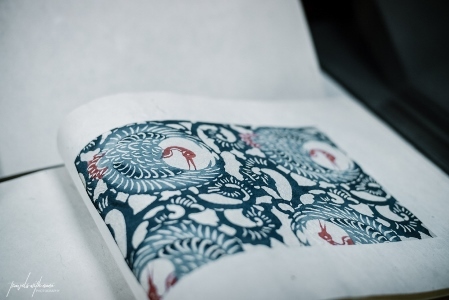 Japan adopted this paper-making method and improved it, adding more textile-type materials to the production process such as kozo, or mulberry, and gampi fibers as a way to strengthen the paper, extend its longevity, and increase its versatility. It became so ingrained in Japanese culture, that there were literally towns build around washi paper making. 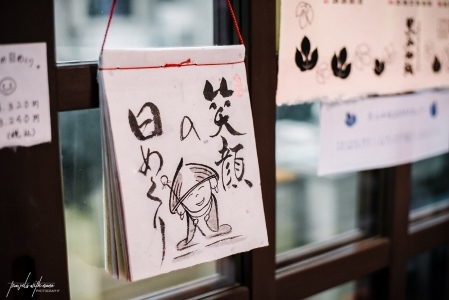 Kurotani is one of these villages, firmly pinned on the world map as one of the leading producers of authentic, 100 percent hand-made washi which has earned a status of intangible cultural property of Kyoto prefecture. Now part of the bigger Ayabe city, the history of Kurotani started roughly 800 years ago when the surviving soldiers of the defeated Heike Clan picked the secluded, steep valley as their hide-out spot. Here they built a new life earning a living by harvesting rice in summer and making washi paper in winter. 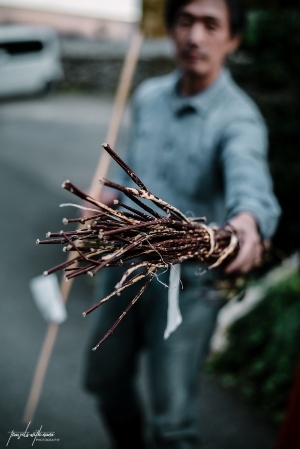 The area, due to its climate and soil, is particularly favorable for harvesting kozo. This coupled with the unique Kurotani hand-crafting technique, developed and refined by the locals over centuries, yields exceptionally durable washi which is said to last 1,000 years. In fact, it is so durable, Kurotani washi is used today to make not only stationary but also fabric for wallets, purses, and even garments! Over the centuries, the application of Kurotani washi expanded significantly. It was initially used for everyday items such as shoji doors and lanterns, and later, adopted as paper umbrellas, kimono wrapping paper and price tag paper made to order for the leading shops in Kyoto. Today, you can purchase delicate items made of Kurotani washi in the luxurious stationary store Itoya located in glamorous Ginza district of Tokyo. For obvious reasons, I chose to buy my rustic washi paper postcards close to the source – Kurotani Washi Kaikan gift shop located right by the stream where kozo is soaked and kneaded for further processing. 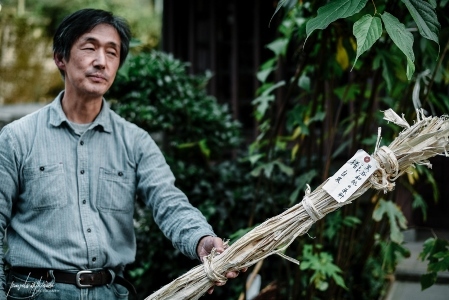 “Hand-crafting washi is a very long and laborious process requiring patience, and a great deal of physical strength,” said my guide, Tomonobu Yamamoto, one of the directors of the Kurotani Washi Association of Papermakers and a member of one of the 10 remaining families who have stayed devoted to the traditional craft of paper-making. His in-depth break-down of the Kurotani technique made my head spin a little. It involves up to 16 steps of harvesting, steaming, peeling, pounding, rinsing in ice-cold river water, drying and post-processing. 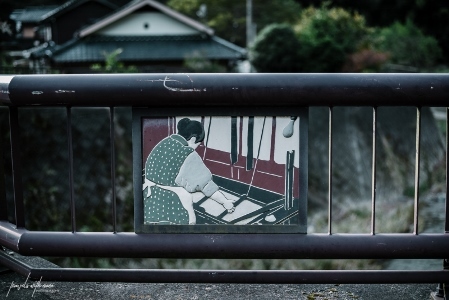 Despite the physically demanding work, especially in winter, the majority of artisans making washi have traditionally been women. Right outside the gift shop, I met 86-years-old Horie Sayo kneading the mulberry bark with her rubber boots in the clear water. “I started doing this when I was twenty years old,” she said. “You do this to loosen the bark of the kozo for the paper making.” A sweet smile crossed her wrinkled face as she picked up a tiny red crab out of the water telling me they used to cook it in a local dish when she was a little girl. With an aging population, the craft is seeing a steady decline, said Yamamoto. What used to be the primary source of income for most villagers is now a craft maintained by just a handful of families. Based on the census, 67 households were engaged in papermaking in 1872. Currently, there are only 10 artisan families remaining in the guild. While the statistics are somewhat alarming, the love I saw in the eyes of Yamamoto as he showed me around the village, or Sayo, as she effortlessly carried on crushing the pulp, reassured me that this valuable craft will continue for many generations to come. Eager to spread the word about their traditional art, the locals welcome tourists, who can now not only observe but also partake in the centuries-old washi-making process at Washi Craft Training Center (Traditional Arts School of Kyoto), located in the former Kuchikanbayashi Elementary School. Creating something with your own hands brings another level of appreciation and understanding of the craft along with the culture, and creates unforgettable travel memories. The six postcards that I made at the center – under the strict guidance of my sensei, of course – might not be a work of art, but they will always remind me of the story about tireless elderly Kurotani women treading kozo in a cold stream. Directions: From JR Ayabe Station (JR Sanin Main Line) south exit, take a bus (Aya Bus Kurotani Line) to Kurotani Washi Kaikan-mae bus stop. Then a 2-min. walk. Open: only on Sat, Sun and national holidays: 9:00–16:30 (Closed from January to March) Directions: From JR Ayabe Station (JR Sanin Main Line) south exit, take a bus (Aya Bus Kanbayashi Line) to the Tokura bus stop. Then a 2-min. walk. You can get updated details and brochures at Ayabe Tourism Information Center located a short walk from JR Ayabe Station, south exit.